This year’s Brexit vote in Great Britain touted as effort to reclaim national sovereignty. In two years’ time, the British aim to reclaim freedom from the oppressive bureaucracy of the EU. Great Britain’s currency played a role in the decision. The Sterling’s status as a strong global currency allows the island nation to participate in global trade. Because of the recent U.S. election, progressives globally vow to work locally for change. Yet without an independent currency, they are all but forced to participate in the extractive economy that supports the new U.S. administration. For billions of people, Bitcoin is not a viable option. However, Faircoop is launching Fairpay, aimed precisely at those who lack a smartphone. Those of us who do use iPhones can support the effort to build an independent, fair currency available to all. 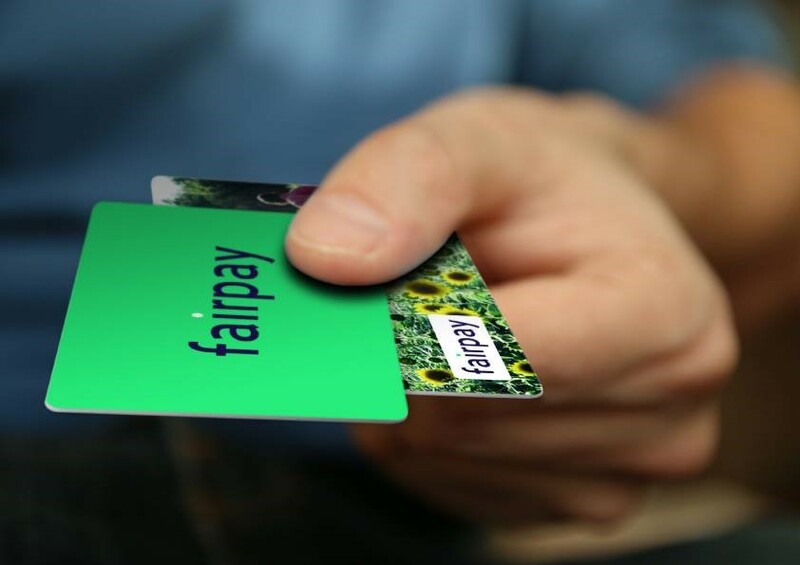 Order the Fairpay card now and start 2017 by committing yourself to another economy for the whole year. – A tool for payments without fees. – A banking software for making charge the card or exchange faircoin and official currencies, so easy as using a bank account. – A cashout system for merchants with SEPA transfer in 24 hours. This technology will make faircoin the most advanced tool for easy physical payments in the cryptocurrency world. Making so easy the user experience as a is to use visa or mastercard. Still neither bitcoin have all of it together. Fairpay will be possible thanks to the collaboration between Faircoop and Chip chap. In the last statement read: ” two milestones for the 2017. #Retornoenlibertad and build a new banking system for the people. So today same ad the next steps in each of those addresses. Let’s not leave for tomorrow what you can do today. 2. Ad that fairpay is going to be a reality already within a few weeks. Fairpay will be a payment card for use in physical stores. An alternative to visa, Mastercard, no commissions. Using the latest technologies “Contactless” that the most innovative companies are implementing, because the cooperative is not at odds with innovation. A tool to extend the networks of social and solidarity economy to all, all over the world. The experience of use is going to be as easy as using a conventional system. Will be loaded with faircoin, but neither the user, or trade will notice is how easy it will be. So you don’t have an excuse to take the plunge. Be easy even for trade change to euros if necessary. As easy as using a bank account and a lot cheaper than the corporations. You can also propose to the city of your people to use it, in order to strengthen the local economy, as some of you are interested. It is a key step to extend the new banking system of the people in the 2017. Keep your ears open for the launch, we’ll need you on board! The system that is in the works is still better than we could envision, because it will be directly connected to a POS app, which will connect the shops accepting the card with a system of automatized exchange between faircoin and official currencies (euros or the currency available in each country). We will have access since the beginning to one day wire transfer in all the SEPA zone, connected to that system. And 2-4 days for external transfers. Other regions could add more fast options in the future. The NFC app will be open source and owned by faircoop. The app development and the backend service, is provided by chip chap – in the future we could reproduce it, but this have a big cost- and the brand used for this service at short term will be fairtoearth which website will be updated in the same time. The NFC card printing would be selfmanaged as part of this collaboration, making it very cheap, and in the next future would be important to invest in the machine who produce the nfc tags for the cards. My proposal is, at same time, to make a deep update to use.fair-coin.org and use it, for promoting and facilitating the services related the NFC cards. So, since this moment progressively the role of the local nodes, with their exchange offices capacities will evolve, and will not be so much to make directly the manual exchange, but to invite local shops to join and coordinate the relation with the local shops who can provide the service. NFC (Near Field communication) is a technology similar than bluetooth, that makes possible to stablish connection between two devices when they are near. In this case the two devices are one smartphone and one card. NFC tags: Are just piece of information inserted in the card to be shared with the smartphone. POS (Point of Sale – TPV, terminal punto de venta in spanish). Is the place where a retail transaction is completed. Actually is refered also as the point of service because it is not just a point of sale but also a point of return or customer order. Additionally, current POS terminal software may include additional features to cater for different functionality, such as inventory management, CRM, financials, warehousing, etc. SEPA: (Single Euro Payments Area). is a payment-integration initiative of the European Union for simplification of bank transfers denominated in euro. SEPA consists of the 28 member states of the European Union, the four member states of the European Free Trade Association (Iceland, Liechtenstein, Norway and Switzerland), Monaco and San Marino. Hey all,For this project, we will use the banking software of Chip chap for the faircoin cards and POS system. This payment system will be called fairpay.Any person with a card or merchant or a local node, who participate in fairpay project, will have one account in this banking software.Local nodes and registered merchants/shops will be able to create accounts for normal users.For a payment, the shop needs to have a smarphone or a card payments device, with NFC technology. Most of the recent devices have it.Card would have a cost of less than 0.1 eur. Could be given by free when someone wants to use it, if is charged after exchanging some amount of official currency. Neither Faircoop, neither Chip chap, will receive any fee for creating a new account or for single payments, because the general vision is to provide an alternative without fees to visa and mastercard, etc… Anyway, the local nodes are free to decide any fee as local strategy for developing their work. Shops could only accept cards or could also distribute cards and sell faircoins with their App. Some level of trust could be appreciated in order to let a shop distribute cards and sell faircoins. We could choose to include a QR from the faircoin address on the card, so then people with a card can charge the card or receive payments just with the QR. With the POS system, the merchants would be able to exchange the faircoins received to euros, from the panel on their account and receive a transfer to their banking account in 24 hours. This service would have a 1% fee by chip chap. Faircoop should provide the liquidity in euros and faircoins, for covering the exchanges, if faircoop fails to do it, there is the option that chip chap get the liquidity from bittrex or that we stop the service until there is liquidity. The panel can be used as an online bank account + online wallet. We can decide each category of users which services can access. – Send faircoins to an andress outside of the wallet. A team for coordinating the project should be created. This team could be related to the european coop bank that also is being developed. 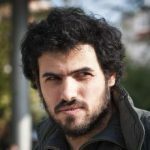 Faircoop could inform about this project in use.fair-coin.org. At same time fairtoearth.com could be used. The local nodes should be able to ask for some amounts of cards for using at their local nodes. Then they could explain and provide the local merchants. – Accepting card payments, distributing cards and selling faircoins. In the case of shops selling faircoins, they could receive euros that belongs to faircoop, then would be a task of local nodes to follow up that cash in order to recover it for managing for example. cashout needs. The panel will have info of the stats of the shops they manage for making easier following this data.